I have never taken the time to to wire a home that I have purchased for Ethernet or cable. Over the last two weekends I have taken the time to learn how to do it. I took on the project because I am doing some renovation in the master bath and the electrical wiring in the house is a mess. I can fix electrical as it is easy for me. So now I am fixing the low voltage cabling to the way that I want it. Currently the Internet cable modem is in our front closet. That is where we told the cable installer to put it when we first moved in back in 2011. At the time the home had carpet. Now we have maple hardwood floors and I moved the cable connection from the floor to the wall inside of the closet. I was in the middle of pulling Ethernet cables to it from the home theater wall in the living room and from my back office when my wife said she wanted to move everything to the closet in the hall. This seemed like a perfect time to make the move. All of the cable connections had their head end out in the garage. With my coax cable skills I can fix all dead connections in the walls plus make it easy for the installation of a video cable box inside of the house. 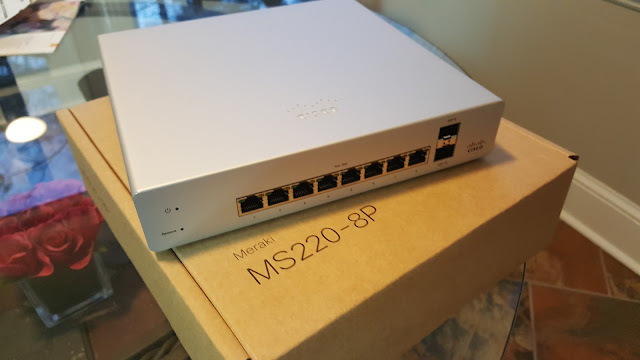 Today I got my new Meraki switch. I have a completely Meraki powered network. 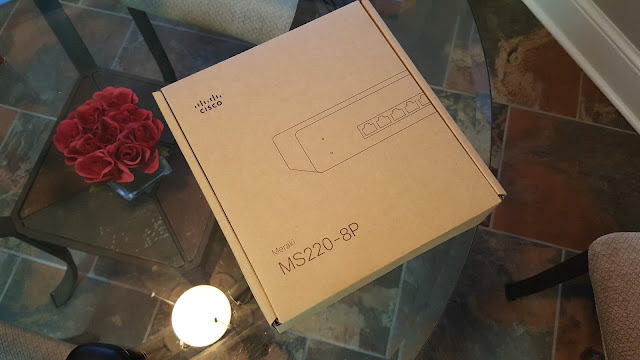 A big shout out to my friend and co-worker +Noore Ghunaym for helping me learn about how to use Meraki equipment and refine my networking skills. I have a MX64 Security appliance and router, a MS220-8P switch and a MR34 wireless access point. I finally have a network that I can use as a real time tool to learn more about networking. 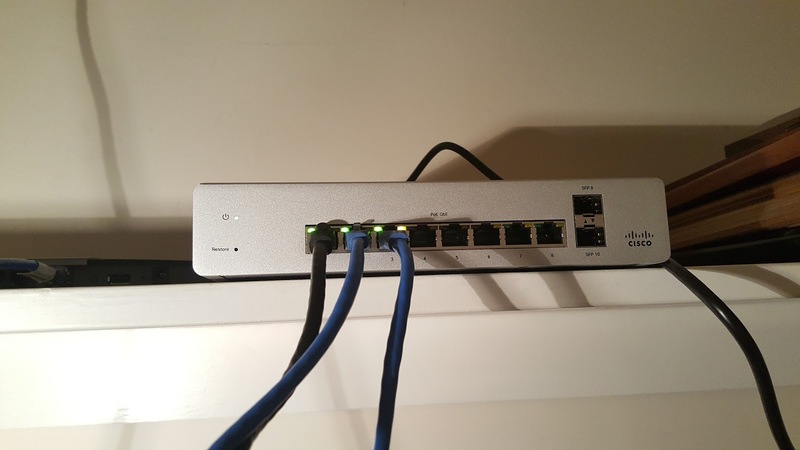 I have enough ports to start connecting all of the computers, both big and small to the Internet. My new Meraki MS220-8P Switch in action. I finally can power my MR34 access point without a POE injector.